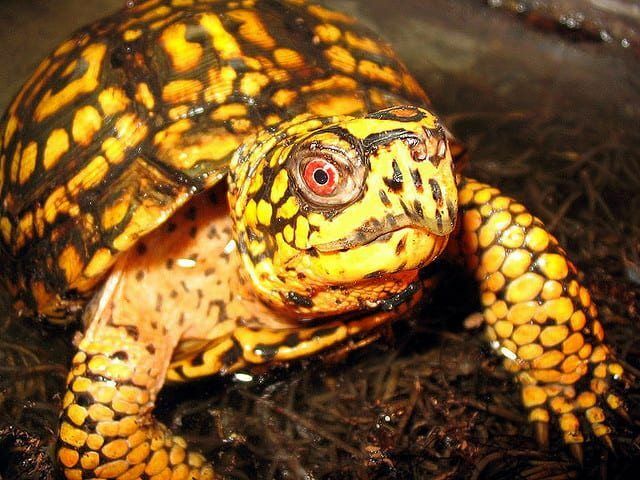 We have some fantastic captive bred super colorful eastern box turtles for sale. 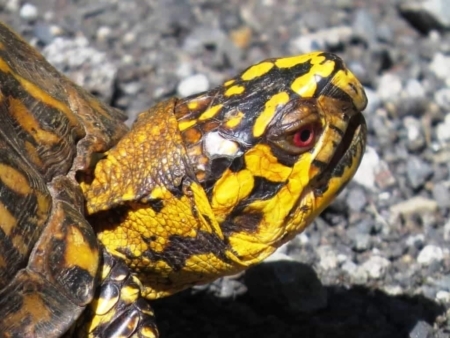 The Eastern Box turtle for sale is one of the most popular box turtles for sale online in the United States and is also known for being one of the more colorful species of box turtle for sale in the world. Average size is 5.5″. 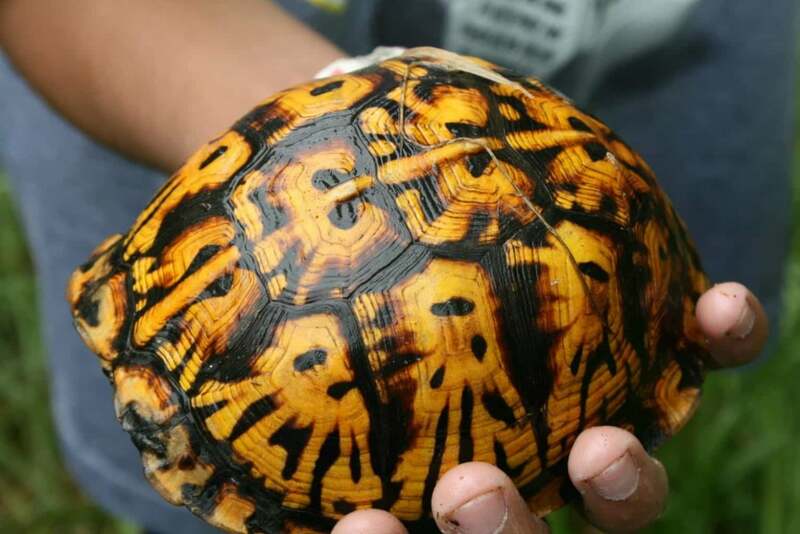 Eastern Box turtles can live up to 80 years when properly cared for. 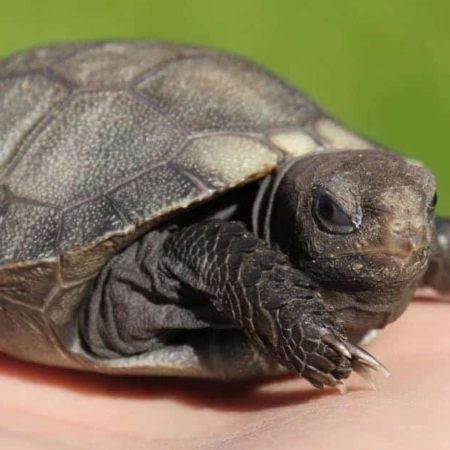 We currently have eastern box turtle hatchings for sale, well started eastern box turtles for sale (recommended over the more fragile hatchlings) and cute and plump 1 year old eastern box turtle for sale in stock as well as young adult eastern box turtles for sale. 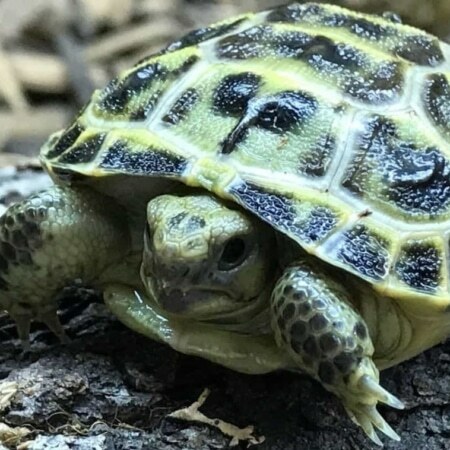 Our Eastern Box Turtles for sale come from top quality adult eastern box turtle breed stock and exemplify the species standard in both color, and temperament. 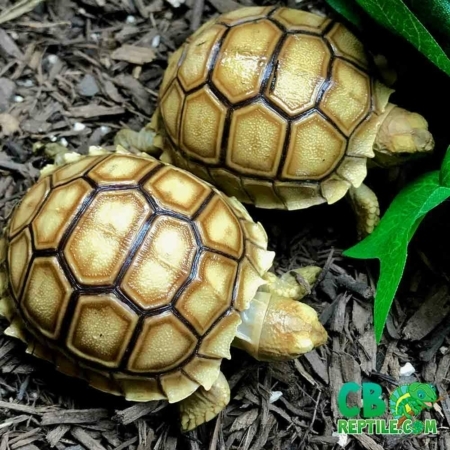 Eastern Box turtles for sale are fairly EASY in terms of care level, and make great additions to any turtle collection especially once they are a few months old which is why we always recommend the well started or yearling baby eastern box turtles for sale over the fresh hatchling eastern box turtles for sale online. With a Biologist ON SITE, all of our red foot tortoise for sale online come with our live arrival and full 7 day health guarantee. If you purchase a complete turtle setup kit from our shop, your turtle will automatically come with a 30 day health guarantee. Our 3 toed box turtles for sale are ready to ship to your door via FedEx in heated or cooled containers and will arrive the morning after shipment. Typically they leave here around 7pm and are on your doorstep the next morning between 8-10am. Looking for a baby eastern box turtle for sale? We’ve got eastern box turtle hatchlings for sale, as well as adult Eastern box turtles for sale. CB Reptile has much more than just Eastern box turtles for sale!